View Basket "The Complete WUSU Collection (6 Packs)" was successfully added to your basket. 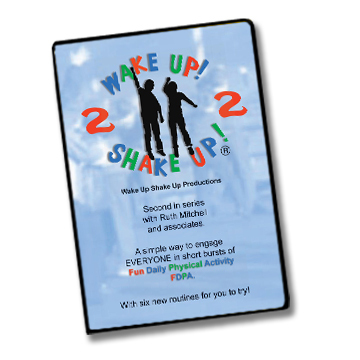 This is the second in the series of 4 progressive DVD packs. This pack contains 2 ACTIVITY DVDs and a music CD Plus. 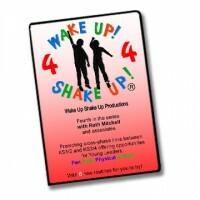 This is the second in the series of 4 progressive DVD packs. This pack contains 2 ACTIVITY DVDs and a music CD Plus. All of the routines are based around 7 core movement skills linking in with Devon’s ‘Leap into Life’ KS1 P.E. resource to help embed good movement foundations. DISCOUNTS may be available for bulk orders. Please contact us for details. 6 licensed tracks and a PDF file containing the written format of all the routines, which can be printed off and used as prompts. My class of 10 KS2 Autistic pupils took to it immediately and on the first go my colleague who teaches PE said they had all been more active in 10 mins than they had EVER been in any PE lesson! 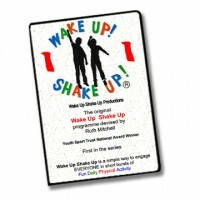 I introduced a programme based on your Wake Up Shake Up programme into 2 preschools and we are already seeing improvements in their attention and coordination and they love it.